Okay, not exactly. But she would shag you. At least that's what she told Kyle and Jackie O from 2DayFM the other day. You can listen to the podcast (1/31) HERE. Or just hear what she said over at ClevverTV. "Many artists write songs especially for the Twilight movies. Was it like that with your songs?" The answer is great, and left us wishing our name was Jessica. This clip is apparently some of what's included in Target's version of the Breaking Dawn Part 2 DVD/Blu-ray that comes out March 2. UPDATE: Jude Law has confirmed our fears about a delay in this project. 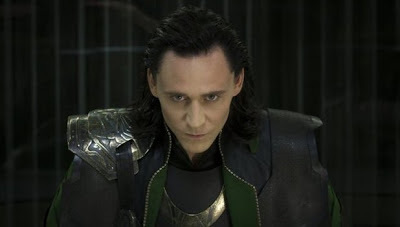 No, Queen of the Dessert, I don’t think is going to happen now, or I don’t think that I can be involved in it anymore. I’m not sure what happened there, whether they can get it together I don’t know. As for projects that may or may not be happening, Law confirmed Naomi Watts' statement that Werner Herzog's Gertrude Bell biopic "Queen of the Desert" is now on hold and he will likely be no longer be available for it when it returns. "I don’t think that’s happening. I don’t think I can do that anymore," he admitted. Like we said below, at least Rob has plenty stacked up for this year. Naomi Watts just burst our happy bubble. While talking to Josh Horowitz at Sundance she gave an update on Queen of the Desert, and it looks like it could be a while..
"It's still a way's off" - "I don't know yet. Hopefully, it will happen. I just can't travel again right now because I did a lot of traveling last year. It's been a big year and it's time for me to be home with the kids." It sounds to us like this is one project that's probably not happening this year. Good thing Rob has Map to the Stars, Mission Blacklist, and Hold on to Me lined up! 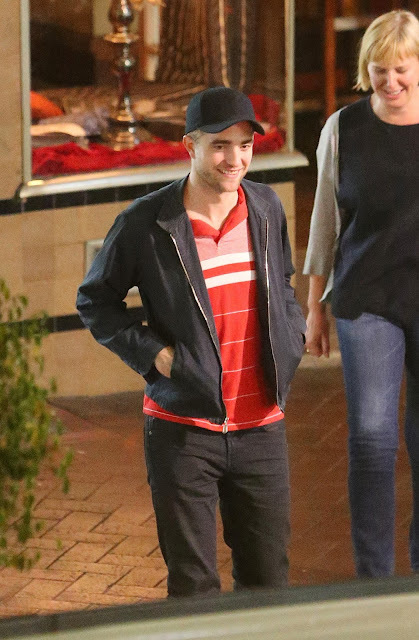 So glad Rob is getting a chance to get out and enjoy his time in Adelaide, Australia - before The Rover filming moves to more remote locations. He ran into these fans during an apparent outing at a festival there. 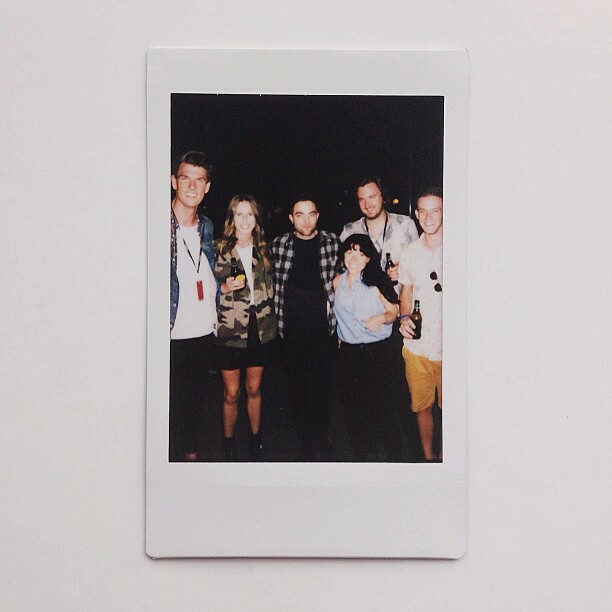 Radelaide's @bigdayout was actually on par with Sydney's. 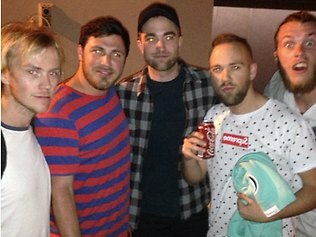 Added bonus: we even got a photo with Robert Pattinson this time. 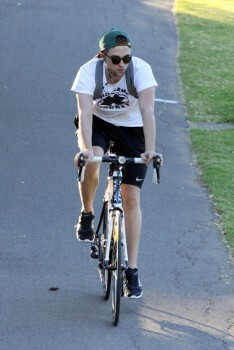 Robert Pattinson looked like just another music fan as he enjoyed Adelaide's Big Day Out at the Showgrounds on Friday. The Hollywood star, and part-time muso, has been spotted all over town this week and was among the thousands watching The Killers, Vampire Weekend and the Red Hot Chili Peppers at the festival. Wearing his trademark baseball cap, check shirt and dark jeans, the Twilight hunk happily posed for photos backstage with John Day and friends. 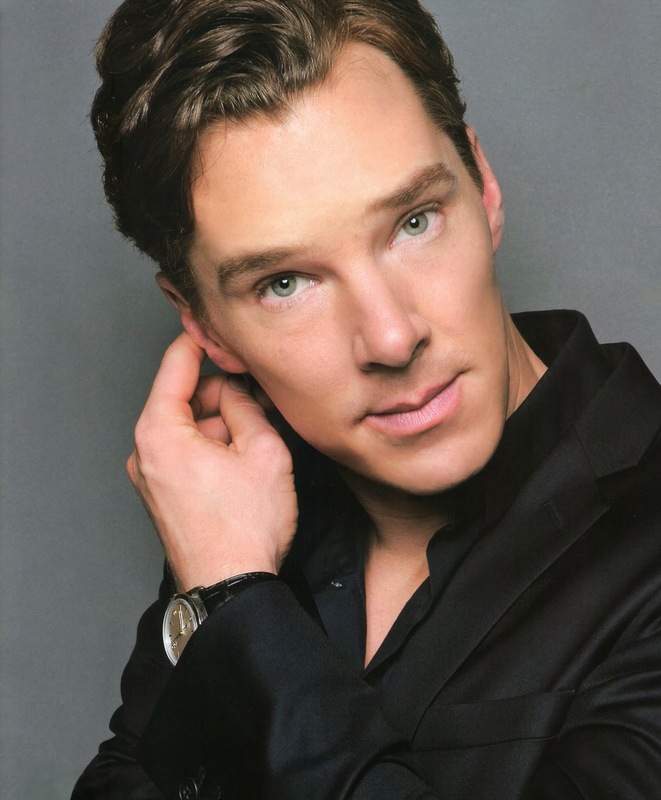 "He was very cool, very gracious and good humored ... 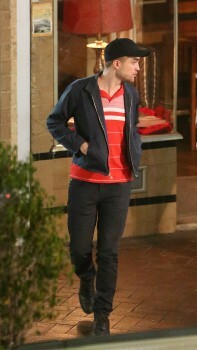 I asked him how he was enjoying Adelaide and he said he'd only been here a short time and hadn't seen much," John says. 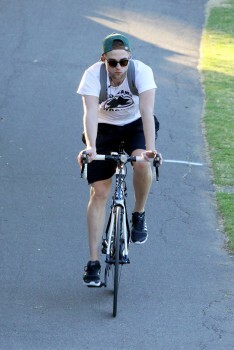 With production reportedly underway on The Rover in Australia, Rob has found some time to relax (or workout) on a bike. Looks like he's enjoying the ride! 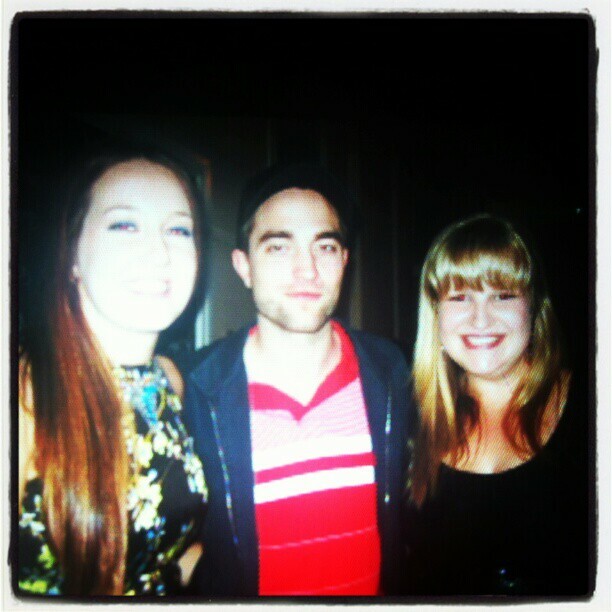 The pic from the Breaking Dawn Part 2 afterparty was posted by one of the lucky fans. 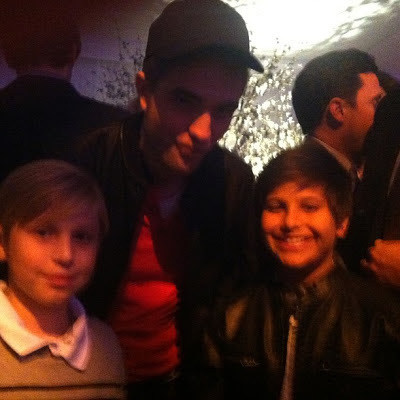 Rob taking the time for all of his fans as always. Thanks @lifeloveartfilm for the tip! We also added some grainy pics of Rob and Kristen leaving the Breaking Dawn Part 2 premiere in London. Click on the gallery to see some close-ups of their beverage of choice and Kristen's phone. (We know some of you are gonna click on that link). We don't know how a promo interview about Paul's new film 'John Dies at the End' ended up as an ode to Twilight. All we have to say is well played Giamatti, well played.. 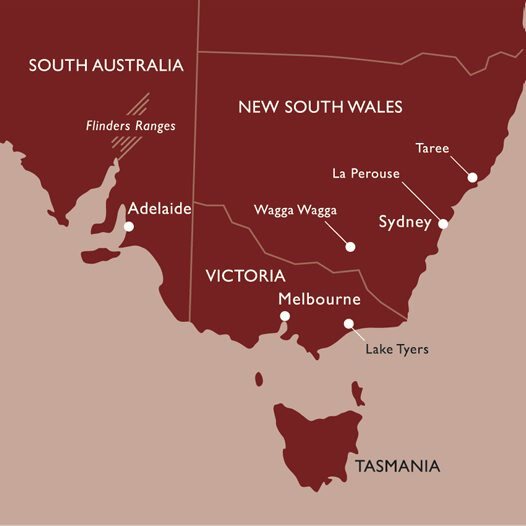 When the news broke that Rob would be headed to Australia to film The Rover, we knew it would be slim pickings on the news front, thanks to the remote production locations including the Flinders Ranges. So far we've been getting a steady stream of airport pics and fan photos out of Adelaide, as everything gets ready to go. Let's hope it remains that way! I Just scored a role working alongside Robert Pattinson in his new movie 'The Rover'. Crazy stuff! Here's a bit more on him in a behind the scenes of one of his music videos. It sounds like Gale could be Rob's stand-in. Hopefully he can share more updates while he works on the film. 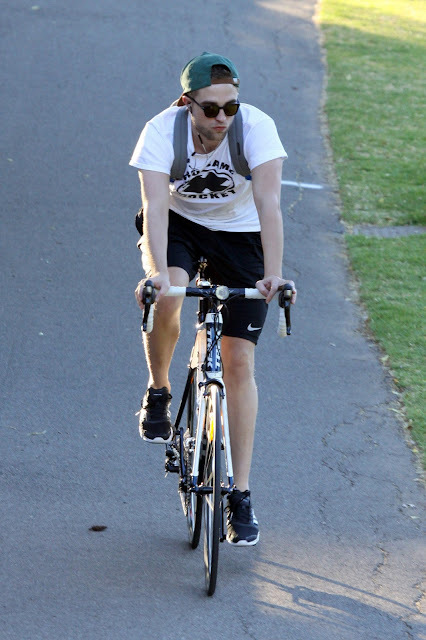 The Rover is the first of several projects Rob has lined up for 2013. Here's to a busy year full of promo appearances. Edward Tests Out Bella's Power In New 'BD2' Bonus Clip! Yahoo released the new behind the scenes clip (with a hot looking t-shirt wearing Edward), ahead of the Breaking Dawn Part 2 DVD release in March. The Blu-ray/DVD booklet also has a still of Bella and Edward fans say is new. We're not so sure, but here you go, just in case. March 2nd, here we come! 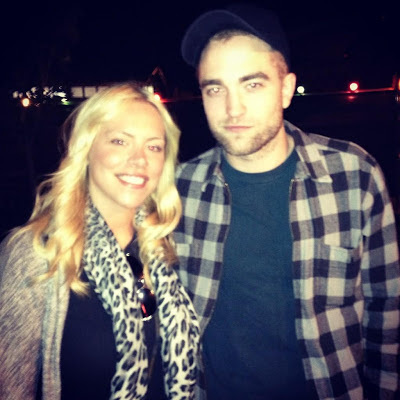 Add Amelia Lily to the list (get in line behind Kylie Jenner) of girls crushing on Rob. The 18-year-old singer has admitted that she 'couldn't stop staring at him' when she came face-to-face with him at the 'Twilight: Breaking Dawn: Part Two' premiere in London last year.When asked by OK! magazine who her dream date would be, Amelia replied: "Robert Pattinson. At the 'Twilight' premiere he was inches away from me". What's it like to beat the likes of Robert Pattinson, Brad Pitt and George Clooney to the title of Total Film's Sexiest Actor? “It's insane. It basically doesn't make any sense. When I was a teenager, my sister had a poster of Brad Pitt from Legends Of The Fall on her bedroom wall. I also thought it was generally accepted that George Clooney was some kind of gold standard? 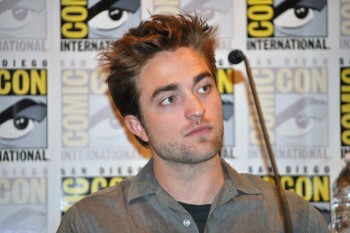 And doesn't Robert Pattinson inspire mayhem and delirium wherever he goes? 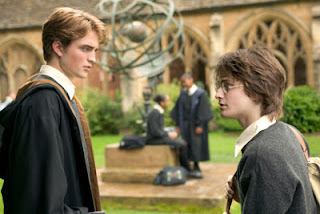 As for Dan Radcliffe, he's always such a gentleman. When MTV's Josh Horowitz tweeted that he had missed Rob on the Golden Globes red carpet while he talked to Benedict Cumberbatch, we never imagined the interview had actually stopped while Rob walked by. But that's exactly what happened. And Benedict's reaction was.. priceless. Hollywood Life caught up with Rob's The Rover costar Guy Pearce, while he was at Sundance promoting his latest film "Breathe In." He had plenty to say about Rob! 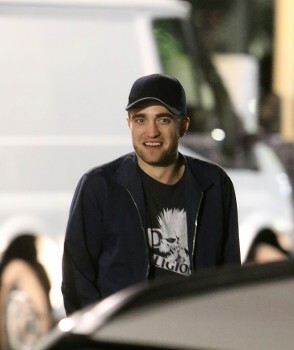 We told Guy, who has starred in movies like The Kings Speech, Memento, Lawlessand the upcoming Iron Man 3, that we bet Rob thinks it’s pretty cool to work with such an experienced actor. We can't wait to see them together on the big screen. Last week Pearce told Variety he was getting ready to head to Australia to begin filming The Rover. 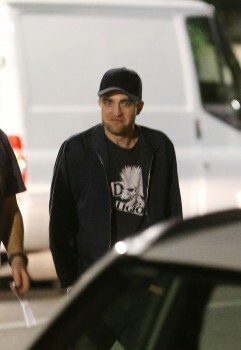 Rob has already arrived, and has been spotted out and about. 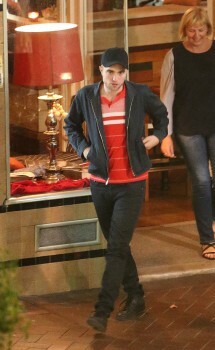 Looks like the ones in red were taken on the same night (yesterday) as when he met these fans. 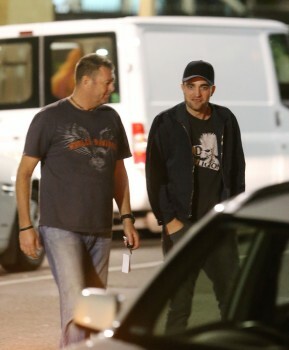 He was spotted with The Rover director David Michôd, and producer Liz Watts. 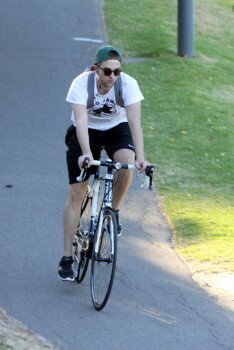 Happy to see Rob's settling in before he starts filming in a few days! Leave it to MTV's Josh Horowitz, to ask Stephenie Meyer what a Twilightland would look like. She came up with some funny ideas. But we're thinking we should stop saving for that theme park trip. 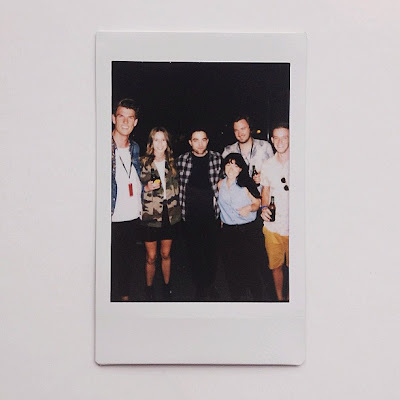 We're not sure when this was taken (looks like today), but we're so jealous of those fans! 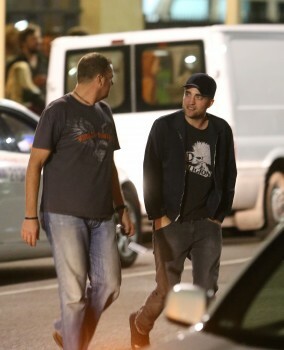 - Rob being nice as always. Filming on The Rover is expected to begin next week, so stay tuned for updates! Forbes Names Rob & Kristen "Highest-Grossing Romantic Couple"
Romance is at the center of the Twilight franchise and that lands Kristen Stewart and Robert Pattinson at the top of our list. For this list, we're only looking at domestic box office revenue from the last three years but Twilight has brought in $3.3 billion overall at the global box office. 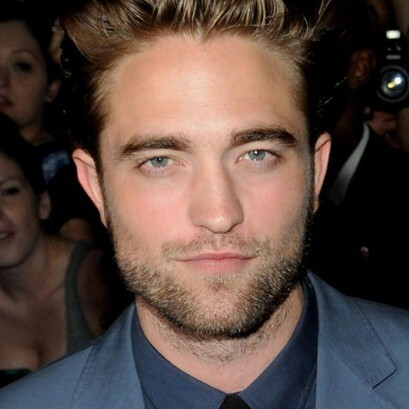 Rob is also at #10 on the list for his coupling with Reese Whitherspoon in Water for Elephants. 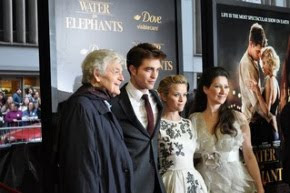 Water for Elephants didn't do Twilight numbers but it was a small success earning $117 million at the global box office on an estimated budget of $38 million. Read who else made the list at Forbes.